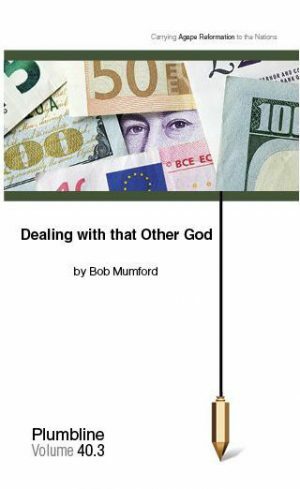 In this Plumbline I am seeking to explore and unfold with you “that other god.” Its name is mammon. Jesus identified it in His sermon on the mount when He said, “No one can serve two masters; for either he will hate the one and love the other, or else he will be loyal to the one and despise the other. You cannot serve God and mammon” (Matt 6:24). Two things are important to note in Jesus’ statement. First, Jesus personifies mammon making it equal with God as to its potential strength of influence on our lives. Second, we can only serve and be ruled by one god at a time; the governing influence of one negates the influence of the other. According to Jesus we must make a choice of which one will be our master.